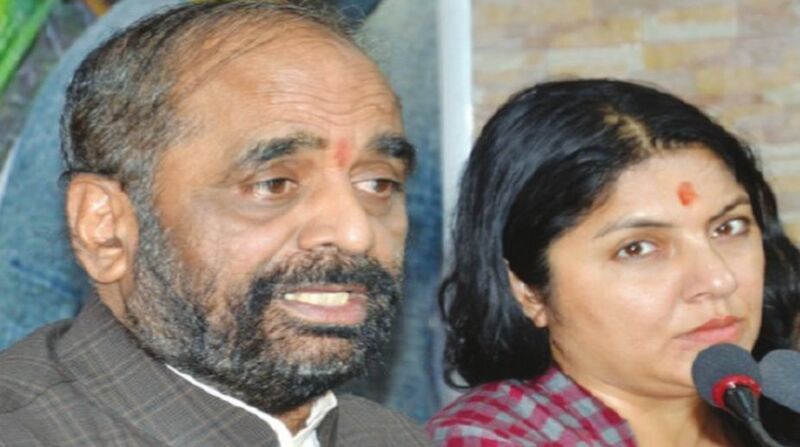 Union minister of state for home affairs Hansraj Gangaram Ahir on Friday said what is happening in West Bengal is a cause for concern for the entire country, as it poses serious challenges to the survival of the democracy. Addressing a Press conference at the state BJP headquarters, Mr Ahir said even police officers are being involved in the conspiracy against the Opposition parties. “I urge IAS and IPS officers to discharge their duties conscientiously to help strengthen democracy. Three of our tribal leaders were killed. Others are in a state of pathetic condition following deteriorating law and order situation in the state,” said Mr Ahir. Also, he said all major political parties in the country, including the Congress, have openly criticised the TMC for the deteriorating law and order situation. Series of murders and violence have been reported following the panchayat polls. “This kind of anarchy has no place in democracy. I got a report from our senior state BJP leader regarding the killings of the three Dalit BJP leaders and have taken stock of the situation. Next time I’ll visit Purulia and speak to the local people to know their grievances,” he said. Expressing concern over the killing of BJP activists during the recent panchayat polls in West Bengal, Mr Ahir said there are “problems” with the law and order situation in the state. “As we have seen the media reports during the polls, the elections were marred with violence. This is not good for democracy. There are some problems with the law and order situation in the state,” “This is the only state in India where the Opposition parties are not allowed to file nominations. Violence during the polls is a matter of challenge for smooth functioning of democracy,” he said. The minister also spoke to some police officers on Friday during his visit at the CISF camp, where he attended some meeting to restrict the smuggling of the narcotic items across the border. He said the law and order is a state subject but, when an incident happens, the Centre seeks report. “It is the duty of the state government to take care and oversee the law and order situation, as it is a state subject,” he said. The single-phase panchayat elections in the state in May witnessed widespread violence and the BJP claimed at least 50 persons were killed and several injured.